Does love matter? Does public art matter? These are the questions at the heart of Michael Owen’s “Baltimore Love Project,” which Owen is bringing to a national audience this summer. After five years and the creation of dozens of murals in his native Baltimore, Owen is taking the project national, including returning to his Midwest roots to create a mural in Madison. 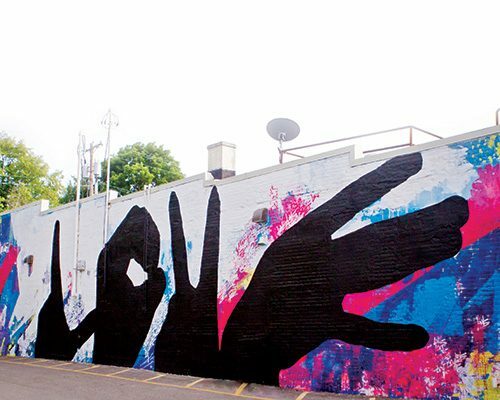 Sponsored by the Marquette Neighborhood Association, the Madison Arts Commission, Plan B, and other donors, in July of 2014, Owen “spread the love” to the exterior wall of Plan B adjacent the parking lot at 924 Williamson Street. 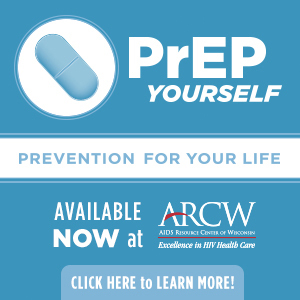 The significance of this project (discussed for the last couple of years) coming to fruition a mere weeks after a federal judge declared Wisconsin’s marriage amendment unconstitutional was not lost on anyone involved. At the dedication ceremony, Owen talked about the importance of love and the ability of this single word to transform lives. “I wanted to make a statement, and try to bring people together from different areas under one word,” Owen told the Capital Times. The use of hands came about because they imply motion and action. Owen initially set out to create 20 murals in one summer, but ran into logistical hurdles in several locations. Getting permission from property owners, neighborhood groups, and city government turned out to be a complicated process. With the help of sponsors and a business collaborator, however, the project has grown steadily, including the new installation at Plan B. The Madison mural is only the second permanent one to be created outside of Baltimore—the first was Detroit—and it’s unique in how colorful it is. Other Love murals all had solid black letters, which, Owen explained, was an effort to maintain a connection throughout the city of Baltimore. Karin Wolf, the city of Madison’s art coordinator, first saw Owen’s work on a studio tour three years ago. She started work then to bring the mural to Madison. 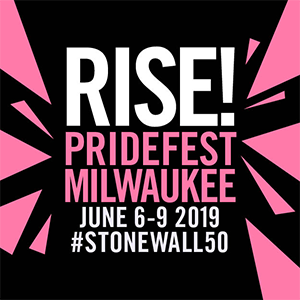 Local coordinators of the project included Sharon Kilfoy of the Willy St. Art Center and Madison Mural Project, who created the “Willy Street in the ‘70s: Changing the World Through Art” mural on the side of the Social Justice Center.